Capture your best fish and experiences with this low profile GoPro camera mount. It is out of your way but readily available when you need it. 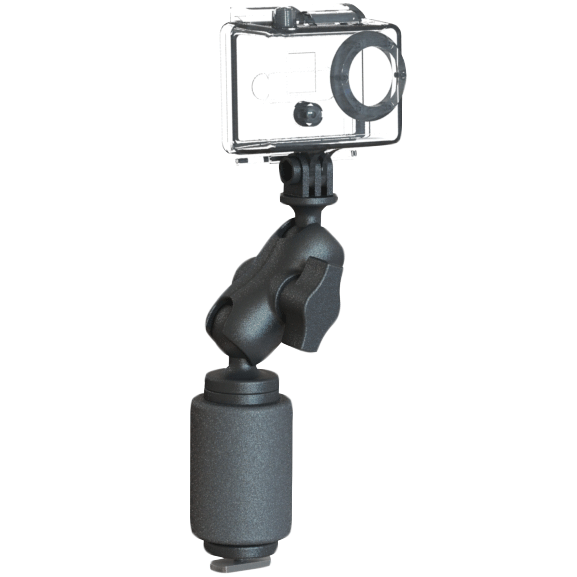 Has a ¼-20 stud to attach your GoPro and secures in the Freedom Track or to a Mighty Mount.